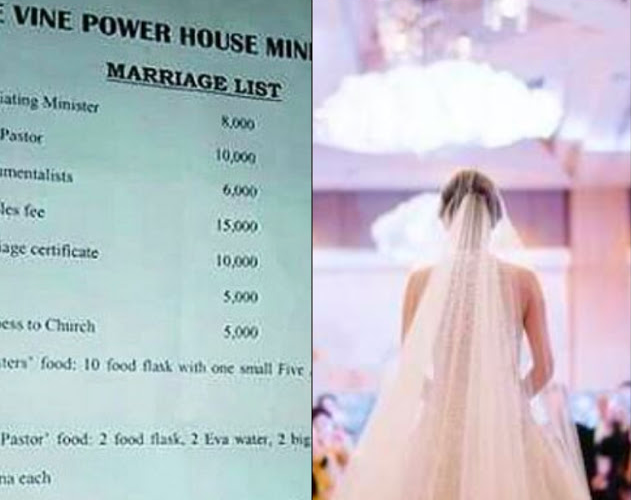 A list for wedding requirements of a church is currently making the rounds on social media. 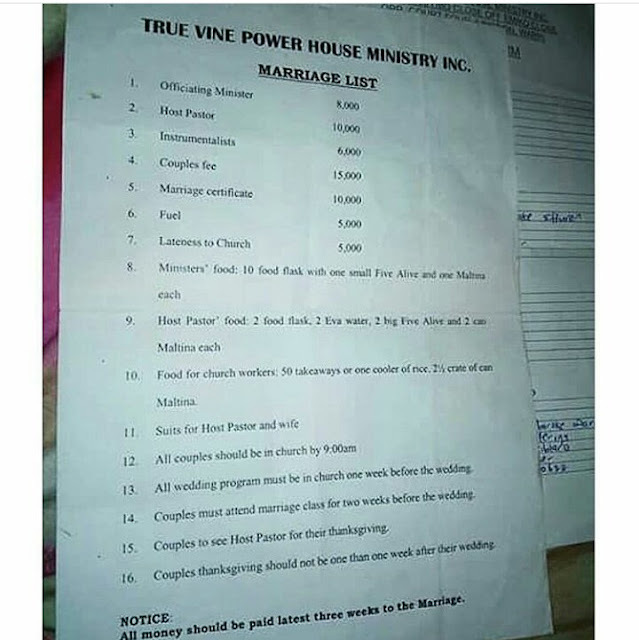 The church, True Vine Power House Ministry gave out a requirement list for intending couples and it is the most hilarious thing ever. In the list, intending couples are requested to buy a suit for the host pastor and his wife. They are also requested to provide money and food amongst other things for the host pastor. The officiating minister and the church workers will each be served their special food, and couples getting married will also have to pay N5, 000 just in case the show up late to their own wedding. That's not all, all the monetary requirements are to be paid at least three weeks to the wedding.